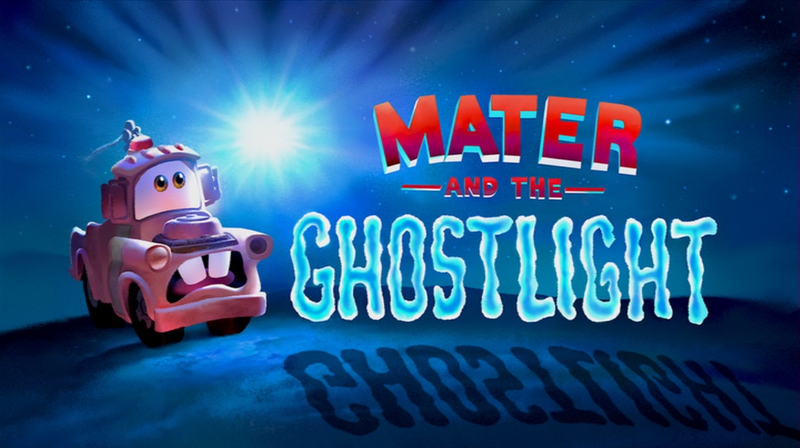 Mater and the Ghostlight: At night, all around town, Mater the disheveled tow truck is causing havoc, playing tricks, disturbing the peace, and scaring other motor vehicles. At Flo's V-8 café, the local cop car warns Mater about the Ghostlight, a legendary orb of blue that haunts these parts. The cop car tells the story and warns one and all that the Ghostlight hates the sound of clanking metal. All the cars rush home, leaving the only Mater, whistling past the graveyard, alone at his junkyard. Then, a blue light appears; can Mater save himself or is there more to the story? Short Story: In this short featuring the characters from the movie Cars, Mater is told the story of a Ghostlight, which causes him to be scared.